At Kabbage, we want to be more than a financial provider. Our goal is to be a leading educational resource for the entire small business community, including accountants and CPAs who work with small businesses. That’s why we’ve joined forces with Surgent and Accountex USA to host courses on AccountingCred.org for CPE credit. 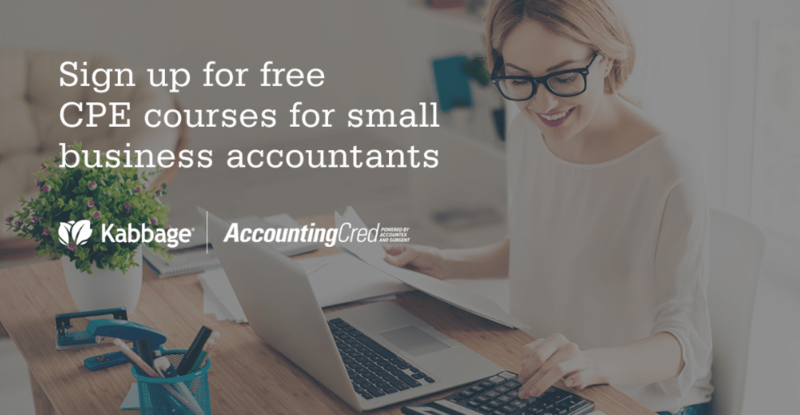 AccountingCred is a new online education platform that provides free webinars for accounting, tax and bookkeeping professionals.